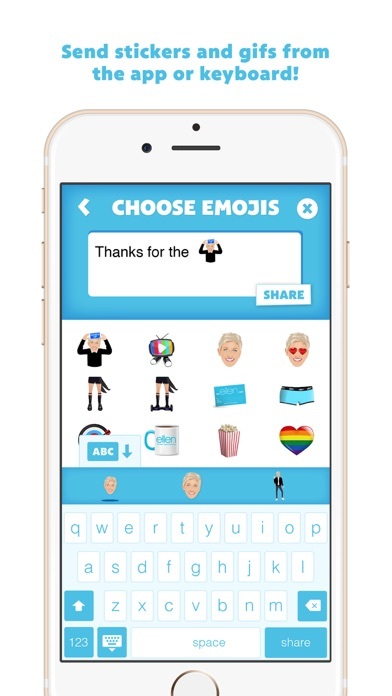 Ellen’s Emoji Exploji is bursting with all of the fun and hilarious emojis that only Ellen can provide. 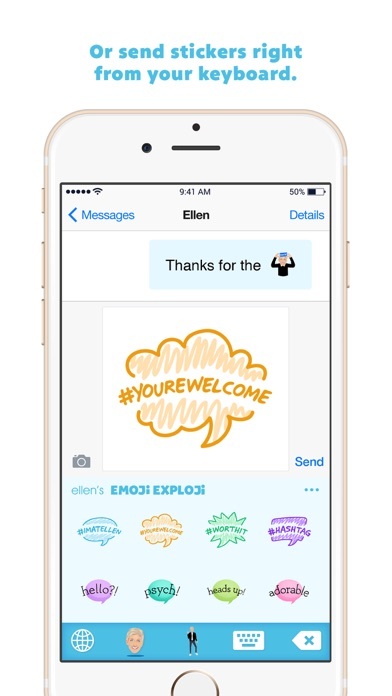 With images and animations that you can send right from the app or using your keyboard, you’ll be an Emoji Exploji devoji in no time. 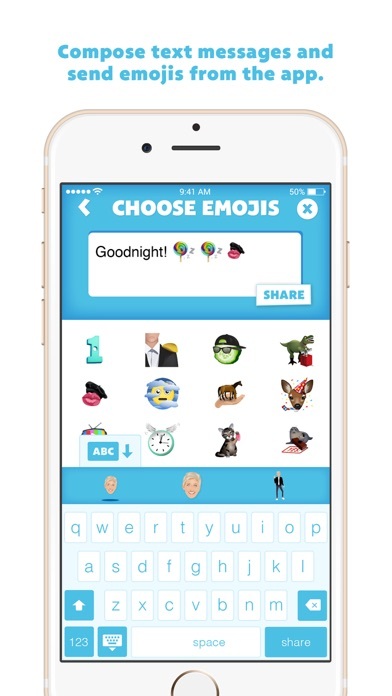 It’s full of all the emojis you’ve been wanting, and emojis you didn’t even realize you wanted, but you do now! 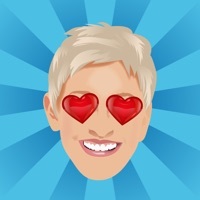 Enjoy this collection of fun, funny and fabulous emojis from Ellen! 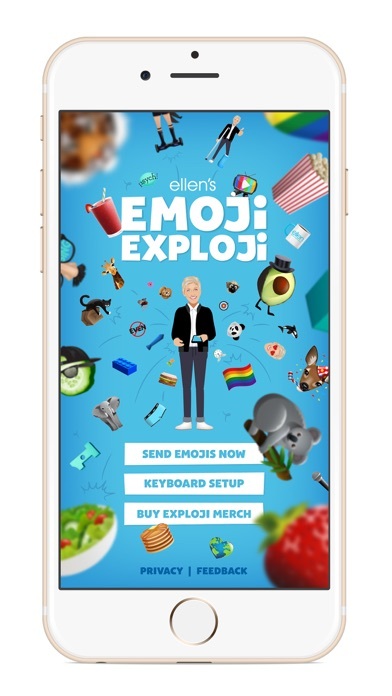 I watched the Ellen’s emoji exploji and I thought that game was going to be the actual game but no 😔 it’s just gifs and Ellen emojis it’s still good tho. Happy I got it free. I love the emoji but I hat that 9 out of 10 times they don't work. I can get them to copy but hardly ever paste. And if one of the moving one it never works. Sorry but would never buy again. All keystrokes are sent through the developer's app. Just think about that. Apple prompts you with a warning when you give the keyboard full access. Kind of scary. 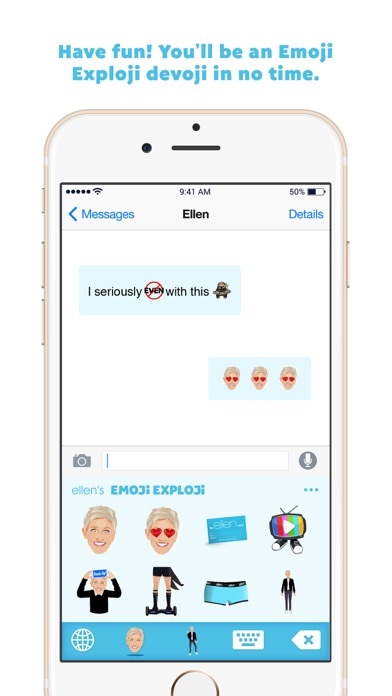 I love Ellen, but I am disappointed by the small amount of emoji's. Since that app is not free, I expected more. Please add more! I love these emojis but they won't paste into FB! Makes me sad as I want the coolest emojis. However everyone loves them in iMessages. Deducting one star because of the FB conflict. these are cute and fun but some of them are a little hard to understand what they mean..